Every so often because we went on a Viking cruise I get an email with recipes from various regions they sail to. I have saved a few of them and, since it is winter, I thought I would try one of the stew recipes. This is basically a beef stew with dark Belgian beer. John is all in on this because he especially likes interesting beers. 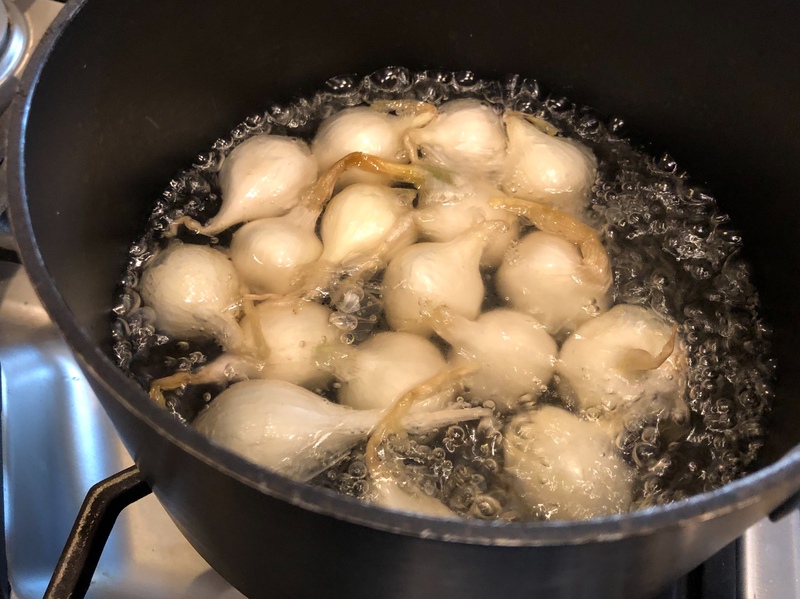 To begin the prep work I need to peel the pearl onions. I do this by briefly putting them in boiling water. It is supposed to make it easier to get the peel off. John comments that there must be a magic way to get the peel off more easily. Sorry, John, this IS the magic way. Then while I am peeling the onions and chopping up carrots, mushrooms, potatoes, garlic, and thyme, John browns the meat. 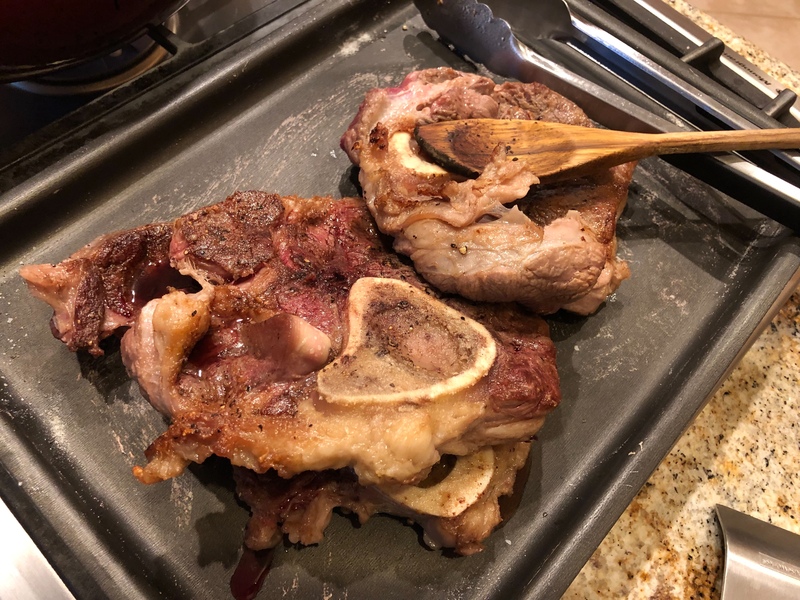 We wanted to use boneless short ribs but our grocery store did not have them so we went with beef shank. It is a very unattractive cut of meat. After this we sauteed all the vegetables (except the potatoes) and then added a beer concoction and a bunch of beer into the mix. 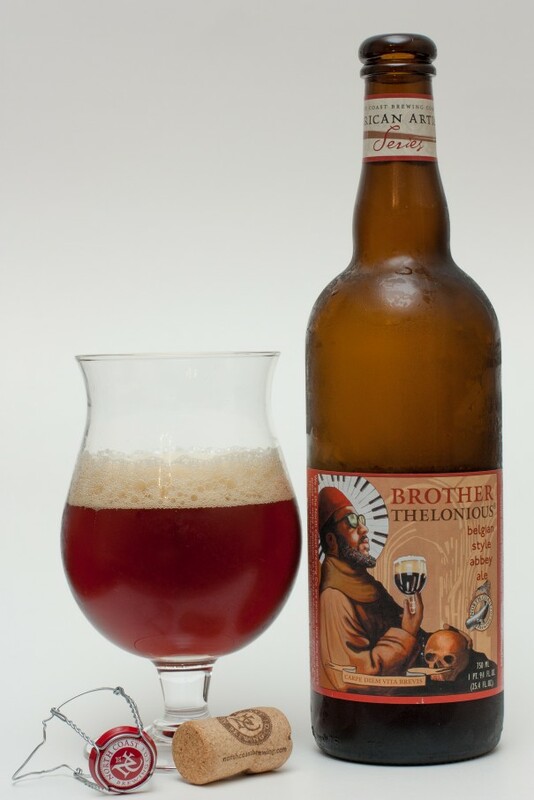 Since we could not find the beer they recommended we went with Brother Thelonious, a Belgian style beer from North Coast Brewery. We add the meat back in along with the potatoes and get everything bubbling away and then stick the whole covered pot in the oven at low temperature (275F) for 2-2 1/2 hours. It turns out pretty tasty although I think I would like it with thicker gravy and a little more sweetness. Here is our not-to-attractive rendition. John says we should make it again and I agree but with the boneless beef short ribs instead. 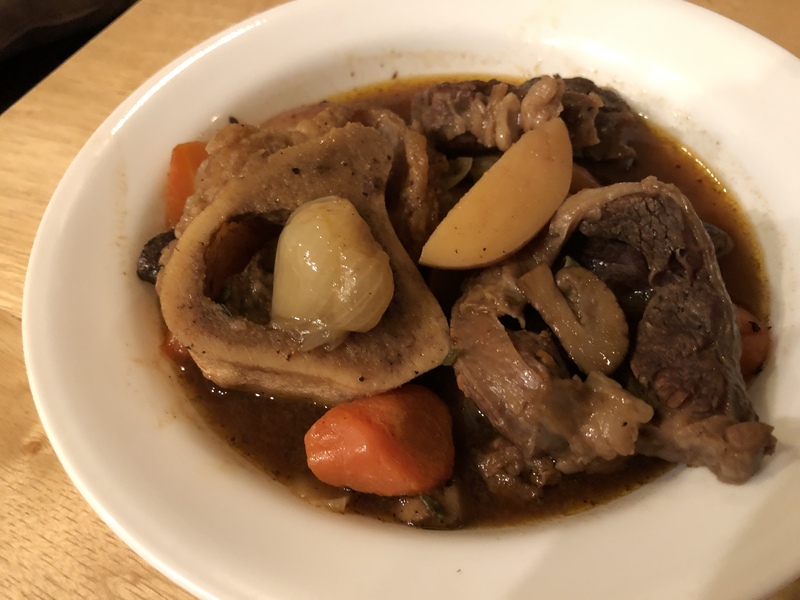 This entry was posted in Beef, Kitchen tips, Vegetables and tagged Beef shank, Belgian beer, stew, Vegetables. Bookmark the permalink.